Some of you may have noticed that Mikael hasn't been the one posting the last few blog entries. Because the lucky dog is on holiday in Croatia. 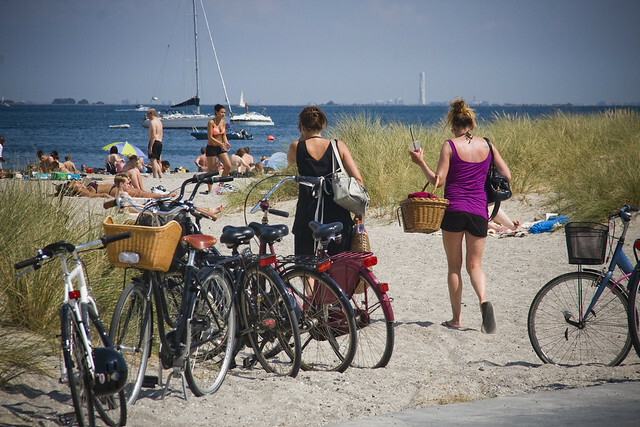 So, while he's gone, we're taking advantage of Copenhagen's own little seaside escape. 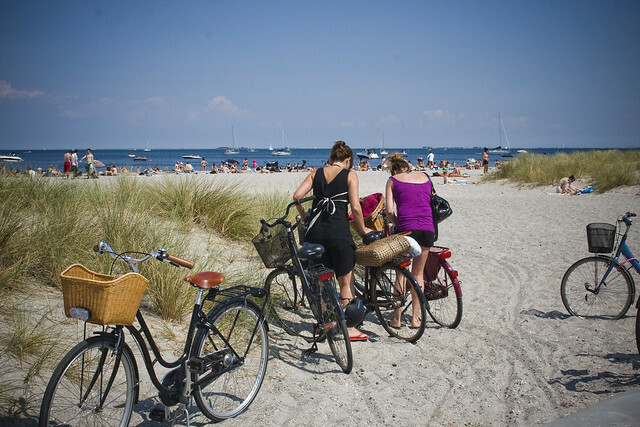 The beach is close, but not central to the city, so bicycles (and the metro) are the most popular way to get there. Beachside bars with signs that read 'open when the sun is shining', vendors selling fresh green peas and ripe cherries, and gently rotating wind mills create a pretty warm landscape to complement the city's otherwise Nordic Cool attitude. Not bad Copenhagen, not bad at all. lovely, simply lovely. i ♡♡♡ Summer. thanks my hyggelig, we hope you have a great summer! 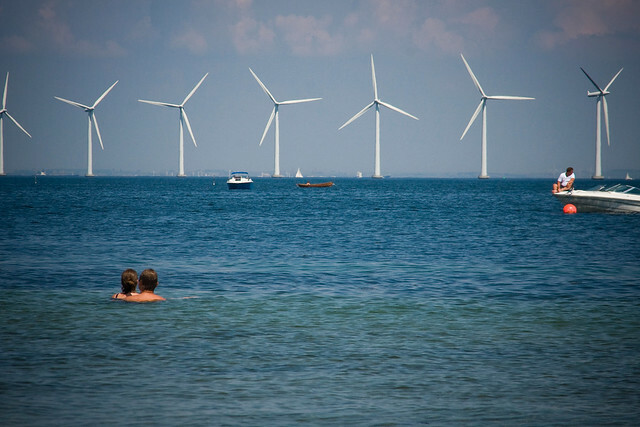 I love the image of the wind turbines. Here in the U.S., turbines are considered by a few but loud people to be threats to the "view shed" - I suppose that somehow nuclear reactors, oil fields and coal mining operations somehow are considered aesthetically desirable. Anyway, I think they simply beautiful. @Greg you're right, it can be so peaceful and the wind turbines certainly add to that - turning slowly, lazily, mesmerizing - it's one of the best parts of the landscape.